Powder sprayer for any kind of powders. Nickel plated metal sheath and spray top. Screw on for neck size E5 (Suitable for the bottle's neck diameter not large than 17 mm). 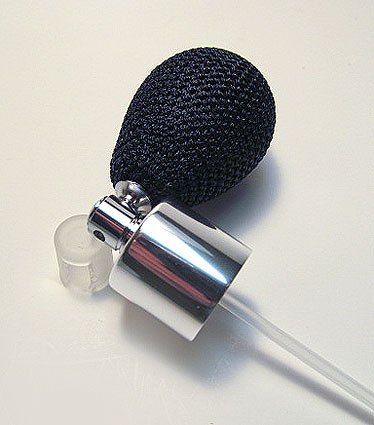 Squeeze bulb made with rubber and fabric weave. Plastic tube included.